100RoundDrumRadio Presents>>>>>>>>>WE UP N HERE!! Last Promotional Week ...So Tune and prepare yourself for a crazy a@# ride. Dj 100Round and Friends (Multi co-host and guest speakers). Tune in 12-2am est, but eventually we will be streaming at an earlier time and for a longer period of time. We play all submissions and quality submissions will be placed in full rotation. A 10 track countdown will start in the upcoming weeks and 100RoundDrumRadio will have listeners and followers rate each track every week, which will determine where the voted will be placed in the line up. 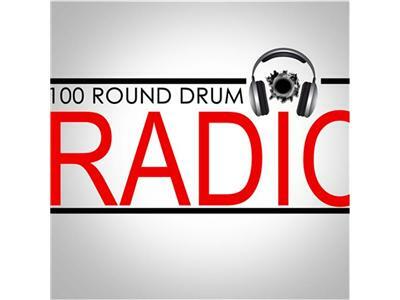 Submit all tracks and all other media to 100rounddrumradio@gmail.com. Submit all audio in wmv, mp3 format please.Guest call in 4247571426. Twitter @100ROUNDDRUMRAD. There will also be a producer submission email soon. Producers will submit tracks that one fells is the one and 100RounDrumRadio will have the listeners via twitter and actual show, judge each beat, will interacting with the hosts and listeners. The majority of the music played on this station comes from Palm Beach County Florida artist 561 area code. We also play unsigned and solicited music. ...pretty much everything if it fits our genre.